While children across the country are still trying to stick to their New Year’s resolutions to tidy their bedrooms every morning, building scientists are investigating whether clutter could actually be the key to healthier living. Dr Stephen Pretlove, from Kingston University’s School of Architecture, is one of a group of specialists advising Britons to leave their beds unmade to banish house dust mites which cause asthma and other allergies. The scientists have discovered the mites cannot survive in the warm, dry conditions found in an unmade bed. In the next stage of their research, the scientists are putting mite pockets into beds in 36 houses around the United Kingdom to test their computer model and will investigate how people’s daily routines affect mite populations. Building features such as heating, ventilation and insulation will also be altered to monitor how the mites cope. “Our findings could help building designers create healthy homes and healthcare workers point out environments most at risk from mites,” Dr Pretlove said. 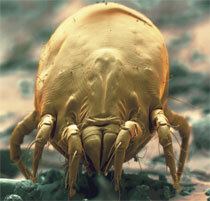 The research also had the potential to reduce the £700 million spent on treating mite-induced illnesses, he added. The two-year project has attracted more than £200,000 funding from the Engineering and Physical Sciences Research Council. 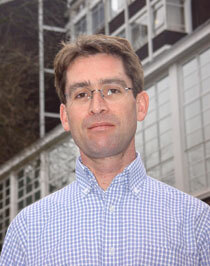 Dr Pretlove is working alongside built environment experts from University College London and the University of Cambridge. Zoologists from Insect Research and Development Ltd and the Royal Agricultural College are also part of the project team.